File photo of an Indiana State Police car. 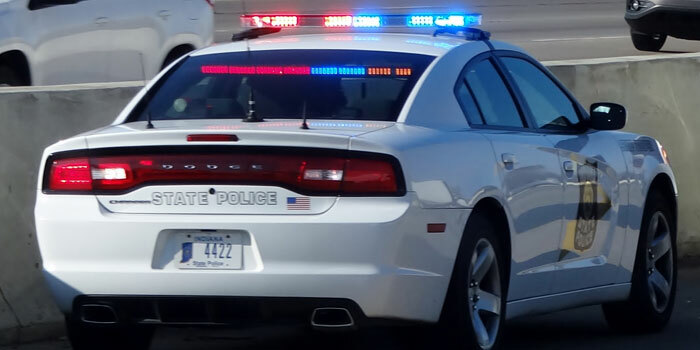 WARSAW — A review of circumstances by Indiana State Police involving a reckless driver investigation by Warsaw Police Chief Scott Whitaker has been completed. Reports on social media surfaced a few days ago suggesting Whitaker, who was investigating a possibly impaired driver on Jan. 25, had been too rough with the apparent driver who is 74 years old. Warsaw Police released its own detailed report of the incident earlier today, Feb. 13. The reckless driving police report recaps Whitaker’s version of what happened after he began following a motorist in a blue Honda who he said had nearly struck his vehicle head-on while traveling on CR 200S at about 6:30 p.m. Jan. 25. Whitaker’s report said the motorist nearly struck two other vehicles on CR 200S, drove slowly in a suburb, momentarily drove off the road as it attempted to turn onto another road and appeared to be impaired. Whitaker was not in uniform and was driving his personal vehicle at the time. Whitaker’s report concluded the man’s wife, Kathleen Brander, had been driving the car. The report said he was unable to see who had exited the car after it was parked at the couple’s home on Chickadee Lane where Whitaker had followed the vehicle. Whitaker confronted the woman’s husband, Michael Brander, who was attempting to get into the car to park it in the garage. Whitaker said he assumed the man had been the driver since he was returning to the vehicle. Whitaker was assisted by another Warsaw officer and a Kosciusko County Sheriff’s deputy. Whitaker eventually concluded that the woman had been driving and that she has difficulty driving at night. Police determined neither the man nor woman were intoxicated at the time. 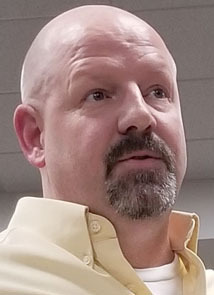 Warsaw Mayor Joseph Thallemer said he sought the ISP investigation because a look into the matter had to be done by an outside organization. “The chief of police can’t investigate himself. Who else are we going to have do it?” Thallemer said Wednesday afternoon. Thallemer said he was aware of social media allegations suggesting Whitaker had been too rough with the driver. In the Warsaw police report, Whitaker said he had already pulled into the driveway and approached the man and was attempting to prevent him from getting into the vehicle. In doing so, he grabbed the man’s shoulders from behind. “I immediately grasped him from behind by the coat on both shoulders and attempted to maneuver him slightly in front of the driver’s door, near the hood area,” the report said. “Upon doing so, (the man’s) legs gave out and he dropped to his knees. I was able to assist him to the ground, as I was still holding his shoulders. At that time, I identified myself as a Warsaw police officer and asked him to keep his hands on the hood of the car and stay in that position” until other officers arrived, the Warsaw police report said. Thallemer said he believes the ISP report resolves the issue. “We did what was right,” Thallemer said.